to work correctly on the recent 2.2 snapshots and 2.3 as well. Sorry. Bad testing on my side. 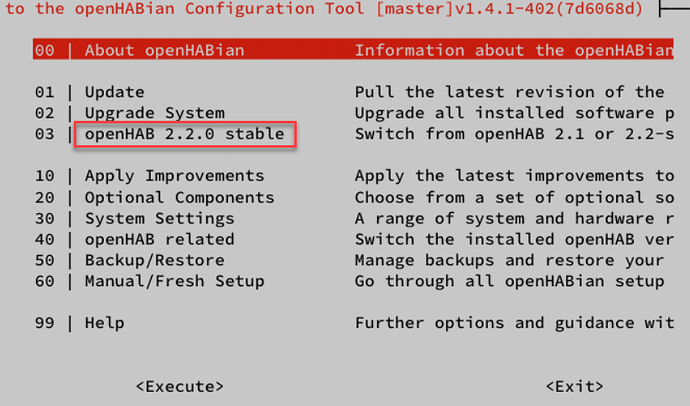 it is fixed: now their is only openhab stable without any version number. I am sure a lot of hard work went into it. 2018-05-28 15:04:46.520 [WARN ] [ui.internal.items.ItemUIRegistryImpl] - Dynamic group with label 'Aantal radiatoren aan' will be ignored, because its item 'HeatingNo' does not exist. 2018-05-28 15:04:46.540 [WARN ] [ui.internal.items.ItemUIRegistryImpl] - Dynamic group with label 'Begane grond' will be ignored, because its item 'gGF' does not exist. 2018-05-28 15:04:46.542 [WARN ] [ui.internal.items.ItemUIRegistryImpl] - Dynamic group with label 'Eerste verdieping' will be ignored, because its item 'gFF' does not exist. 2018-05-28 15:04:46.545 [WARN ] [ui.internal.items.ItemUIRegistryImpl] - Dynamic group with label 'Garage' will be ignored, because its item 'GF_Garage' does not exist. 2018-05-28 15:04:46.547 [WARN ] [ui.internal.items.ItemUIRegistryImpl] - Dynamic group with label 'Carport' will be ignored, because its item 'gCP' does not exist. 2018-05-28 15:04:46.549 [WARN ] [ui.internal.items.ItemUIRegistryImpl] - Dynamic group with label 'Buitenlicht' will be ignored, because its item 'gGFl' does not exist. 2018-05-28 15:04:46.552 [WARN ] [ui.internal.items.ItemUIRegistryImpl] - Dynamic group with label 'Tuin' will be ignored, because its item 'gGA' does not exist. 2018-05-28 15:04:46.554 [WARN ] [ui.internal.items.ItemUIRegistryImpl] - Dynamic group with label 'Energie & water' will be ignored, because its item 'Utilities' does not exist. 2018-05-28 15:04:46.557 [WARN ] [ui.internal.items.ItemUIRegistryImpl] - Dynamic group with label 'Devices' will be ignored, because its item 'Machines' does not exist. 2018-05-28 15:04:46.559 [WARN ] [ui.internal.items.ItemUIRegistryImpl] - Dynamic group with label 'Security' will be ignored, because its item 'Security' does not exist. 2018-05-28 15:04:46.561 [WARN ] [ui.internal.items.ItemUIRegistryImpl] - Dynamic group with label 'null' will be ignored, because its item 'Status' does not exist. This is possibly due to an ESH change that essentially removed indefinite paths from the JSONPATH transform. Where I need to use indefinite paths, I am now using jq. This appears to be a breaking change that was not documented in the release notes. Oddly, there also doesn’t look to be any reference to ‘Member of’ as a rule trigger. Thanks, but that is not the only problem. 99% of my items cant be found, neither can my UI’s. When can we expect to see the RPMs for RedHat distros? 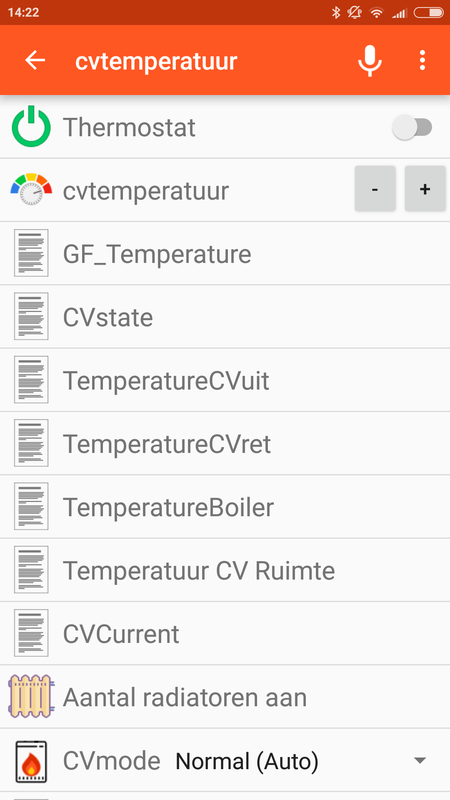 They don’t show up yet in openHAB-Stable repo. 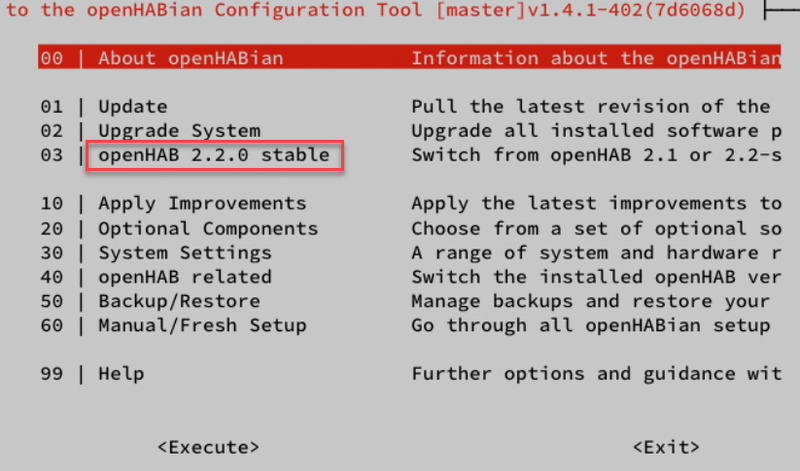 Sorry my bad, they are there, you just have to do a yum downgrade openhab2 to go from unstable snapshot to stable release. New OpenHAB version now is time to upgrade it but I have one question regarding the old spapshot ZWave binding. 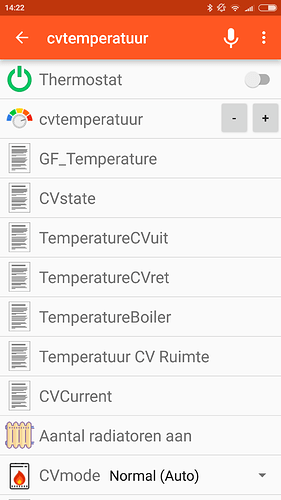 I mean old becuase is one of working on OpenHAB 2.2 but still is snapshot. 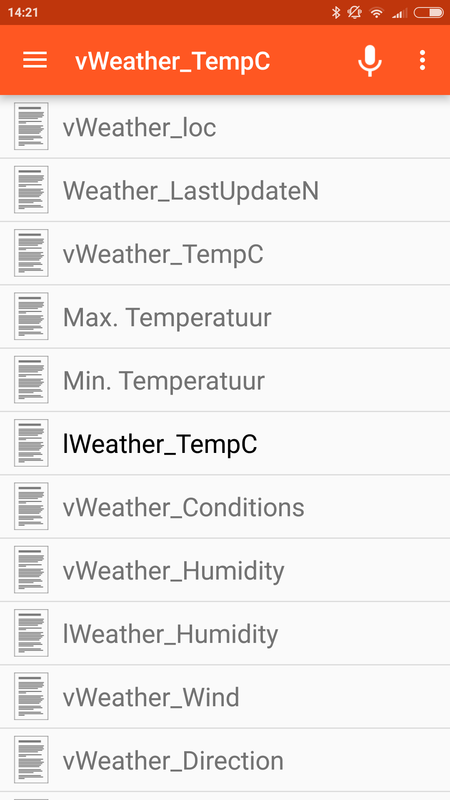 What is the better way to update OpenHAB in this situation? b) update openHAB and then cross fingers the update process updates zwave binding too. If yes: remember that you need to delete your Z-Wave Things from PaperUI first before uninstalling the Binding. Yes I’m using the refactored binding. Then you’ll need to just leave the jar in addons. The development zwave binding is not in the 2.3 release. It is easier to just to a simple upgrade of OH to 2.3 and stay with the development/refactored Z-Wave Binding. First thx for the new version. On my system the upgrade process was technically flawless. But it seems I have lost old rrdj4 data - or is this due to the updated chart settings ? The relnotes do mention an needed manual action regarding the Weatherundergound binding. 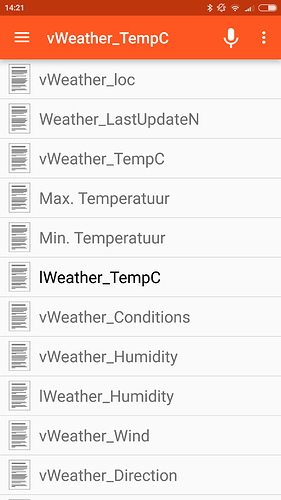 I did not change an of my items from Number to Number:Temperature - and it still works. So is this change really needed or is it optional ? could you also please post the error message you get while executing the original script? Which version did you use when running the script successfully? I’m terribly sorry, but it looks like i received this error for some time. This wasn’t introduced with 2.3, just some bad testing when implementing the rule. My logs go back to 2018-04-30 and already include this error. The addition using modulo was done sometimes between 2018-04-23 and 2018-04-30.